The 2015 Basketball Varsity is one that will stand out in Cambridge Basketball history as the first time that all four Cambridge teams competing defeated their inferior dark Blue opponents. 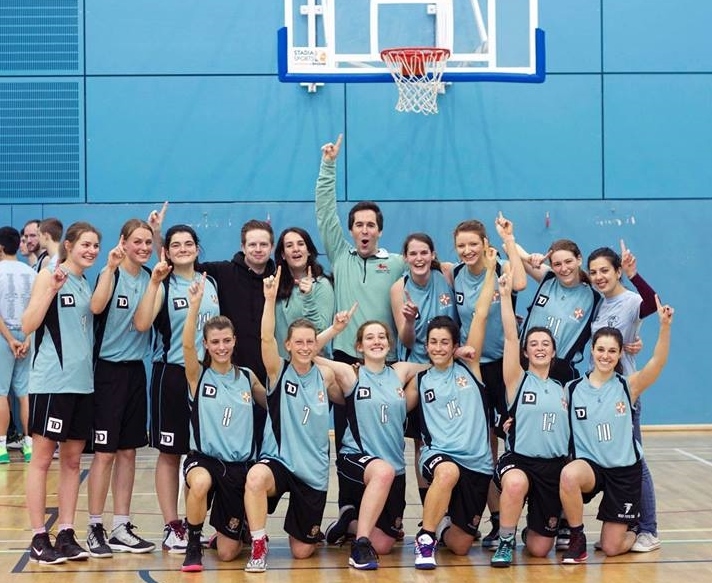 In a day of unprecedented success, both the men and women’s first and second teams were victorious, achieving a clean sweep on the most important day of the basketball season. 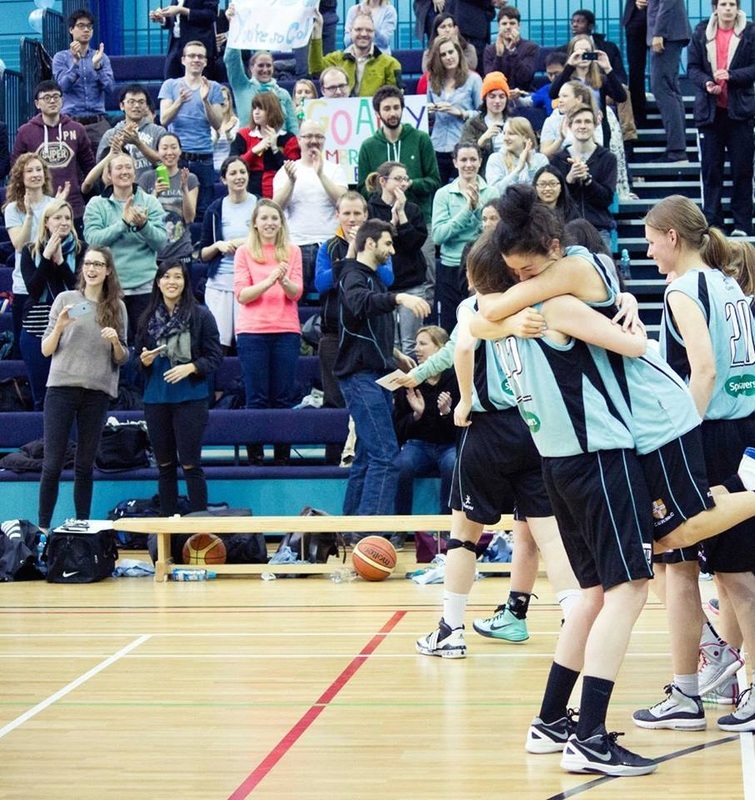 The games began with the clash of the women’s second’s teams, Cambridge Panthers and Oxford Womes. Despite the early start, a host of supporters gathered to cheer on the home team and excitement began to build for the day ahead. Taking an early lead, Oxford scored the first points of the game. The Panthers, however, were hot on the heels of their rivals, quickly netting a few shots from beneath the boards. A tight race for the lead position continued throughout the first and second quarter, with the Panthers responding to each of Oxford's shots from outside the key with a lay-up or bank shot. The second quarter ended in a tie, 18-18, as both teams fought hard to pull ahead. Some halftime tactical advice by coaches Laura Tosatto and Kent Griffith gave Cambridge a new lease on life entering the 3rd quarter. Top scorer Stefania Mataragka made several impressive outside shots, while Astrid Wendler secured a number of steals leading to fast-paced lay-ups. With this on-target shooting and improved defence the Panthers took the lead, allowing their opposition to score only 2 points in this quarter, in comparison to their own 12. This lead was extended in the last 10 minutes of the game, with the final 36-24 win for Cambridge. The Panthers' 2015 victory extends their undefeated varsity record to 5-0 since the inception of the team in 2010. The men’s second’s team were next to compete, with a game of similar intensity and suspense giving way to a 61-45 win for Cambridge Lions. 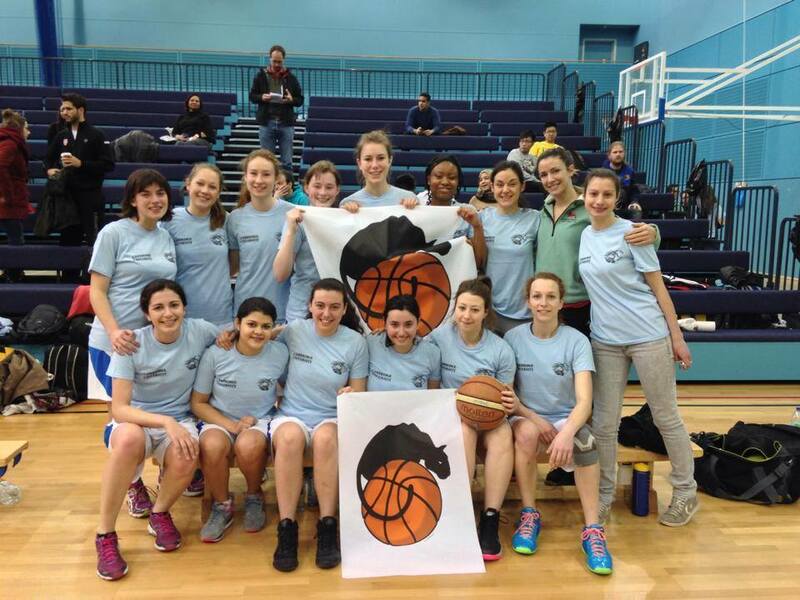 Following the success of both these home teams, spirits were high on the Cambridge bench, as it was the Women’s Blues turn to take on their Oxford rivals. The game started well for Cambridge, with forward Súil Collins netting the first basket and accompanying foul shot. Oxford were not going to let the game get away from them that easily though, quickly matching these early points and pulling 4 points ahead within the first 5 minutes. 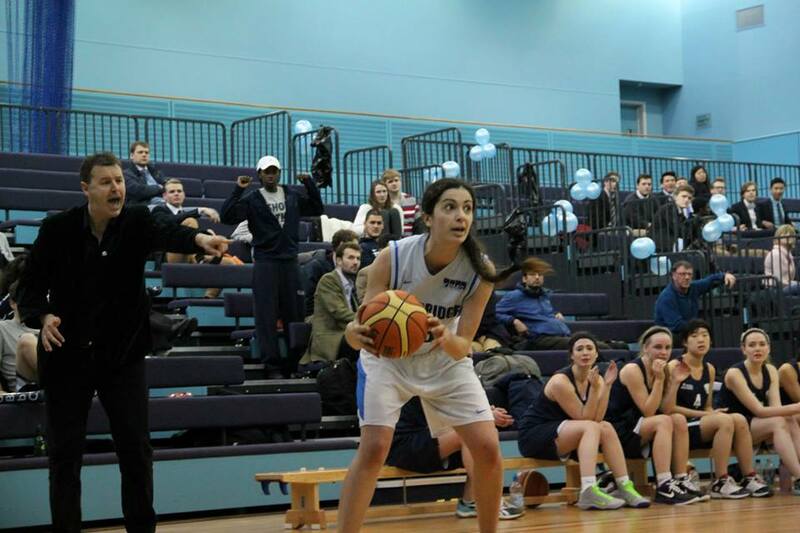 This was the only time that Oxford held the lead, however, as a flurry of baskets from Captain Paloma Navarro, Léonie de Jonge and the first of Michelle Quay’s three 3-pointers propelled Cambridge back into the lead position. The second quarter continued with the same intensity as the first finished. Navarro exploited every gap in the opponents defence, continuously driving into the key with a determined ferocity. 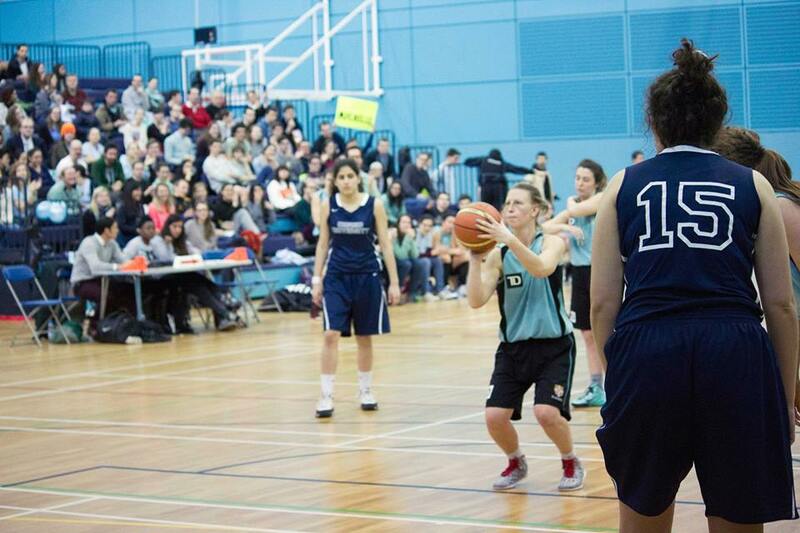 Fresher Pia Hecher also used her lightening pace to elude Oxfords defence, boldly driving to the hoop. With similar determination post players Stephanie Polderdijk and Tatjana Brenninkmeijer made a strong defensive and rebounding effort, preventing the Oxford side any easy options under the boards. The third quarter started with an 11-point lead for the Blues, a gap not impossible to close with a strong offensive effort from the opposing side. This quarter, however, saw de Jonge exert her dominance under the boards, netting numerous baskets, drawing defensive fouls and denying Oxford's lead scorer with an unstoppable authority. Decisive passes and controlled play by Molly Lewis and Ally Freedy at the top the key opened gaps in Oxfords defence, paving the way for a final buzzer-beating layup for Quay, putting the light Blues in a good position for the final 10 minutes. Although trailing as they entered this last quarter, Oxford managed to secure a streak of baskets within the first few minutes, upping the pressure on the Cambridge side to maintain their lead. Aggressive defensive from fleet-footed Mie Monti and Molly Lewis managed to put a stop to this offensive attack, with subsequent steals and forced turnovers from Navarro and de Jonge widening the margin between teams again. New additions to the team Margherita Cornaglia and Laura Hidlt came on for the last few minutes, keeping the momentum strong and fast until the very end. 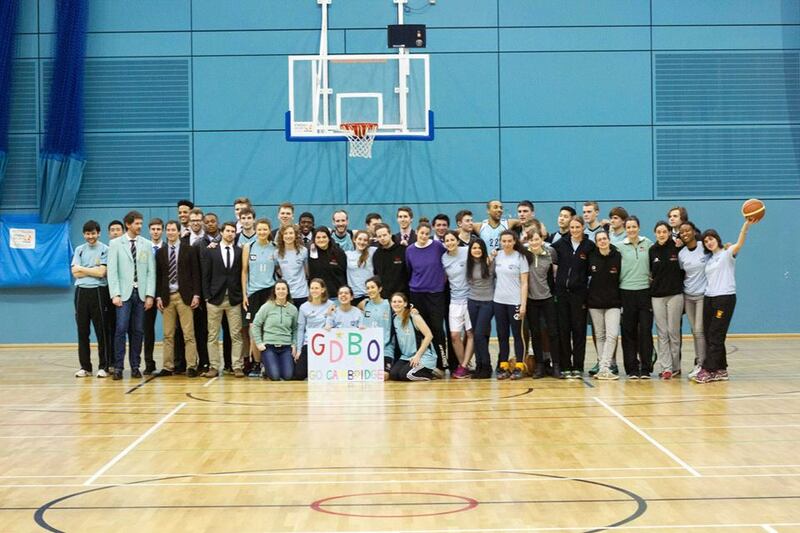 At the final whistle, the score was 75-50 to the light blues, marking the third Varsity victory for Cambridge in the past 13 years! In a true team win, all five starting players were represented on the scoreboard. Paloma Navarro and forward Léonie de Jonge finished the game fittingly tied for the Blues lead scoring spot with 24 points each. They were followed by Michelle Quay, who netted 15, Súil Collins, who had 9 points and Pia Hecher, who provided the Blues 3 points and a number of assists.